The challenge of playing basketball and studying in France after leaving high school is not an easy task. 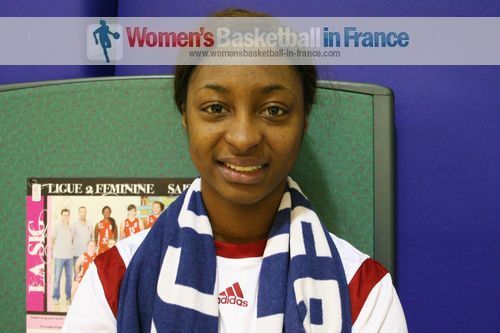 Awa Sissoko who was a member of the France U18 team that won the 2012 U18 European Championship for Women speaks to womensbasketball-in-france about her challenges in studying Law in Strasbourg and playing basketball full time. Trouvez en bas de page la vidéo et un résumé sur Awa Sissoko en français. In the second part of the interview she gives her insight on why France became European Champions for the first time at U18 level. It is an interview that all young promising athletes should watch because she explains clearly the reasons to have come to play basketball at Illkirch-Graffenstaden and her challenge to pursue high level education. 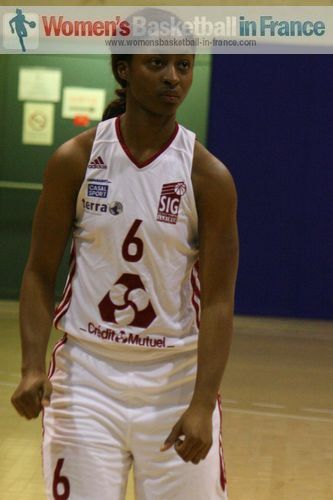 Concerning her law studies womensbasketball-in-france suggest that her trying to speak with Yacine Séné (Charleville-Mézières) who is a qualified lawyer that practices today on a voluntary basis. The interview is in French but we have added paraphrased subtitles in English for an easy following. Awa Sissoko is 18 years old and one of the best players from the 1994 generation in France. She is the type of player that every team needs. She works hard and does all the little things that are not registered on the statistic sheet. From her generation she made her name backing up her team-mates, because once she is on the court she explodes. Then there is no stopping her as she showed during the 2012 U18 French Cup final. She picked up the MVP award at the U18 French Cup final in which she led Mondeville to victory (60-59) against Challes-les-Eaux with a game high 20 points. 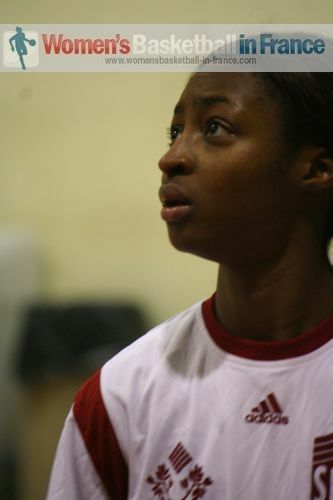 2012 was her year with her becoming French U18 Champions with Mondeville and European Champions with France. Sissoko's honours list is long having had success all though her youth career with: La Courneuve (2003-2005), Paris Basket 18 (2005-2009) and USO Mondeville (2009-2012), France U16 (2010) and France U18 (2012). You may want to listen to Clémence Beikes (2012 Olympic silver medallist) and Céline Girard speaking to wbbif about playing basketball and studying while playing in the second division in 2009.
wbbif a rencontré Awa Sissoko auprès de sa nouvelle équipe à Illkirch-Graffenstaden après le match contre Charleville-Mézières à la 16ème de la finale de la Coupe de France. Elle nous décrit dans l'interview ses études en faisant aussi face à ses exploits sportifs en 2012. Regardez la vidéo "playing basketball and studying is a challenge" pour découvrir une des jeunes espoirs du basket féminin dont son parcours montre qu'il faut persister pour réussir. Nous lui souhaitons de la persévérance et du succès dans son parcours!